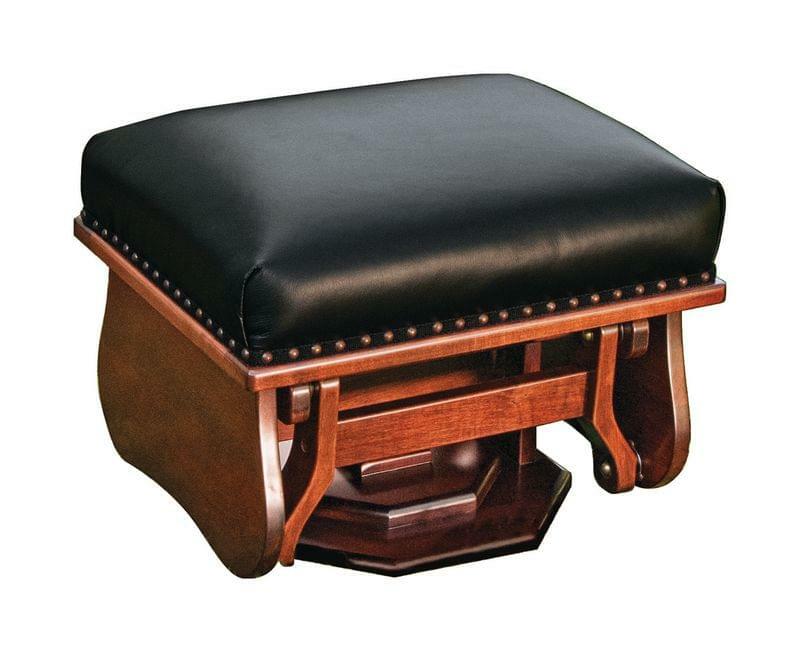 The Buckeye Seating is superior in it’s comfort and a customer favorite! Seat-wise and on the rockers and swivel gliders, a meticulously smooth and comfy ride is an understatement. 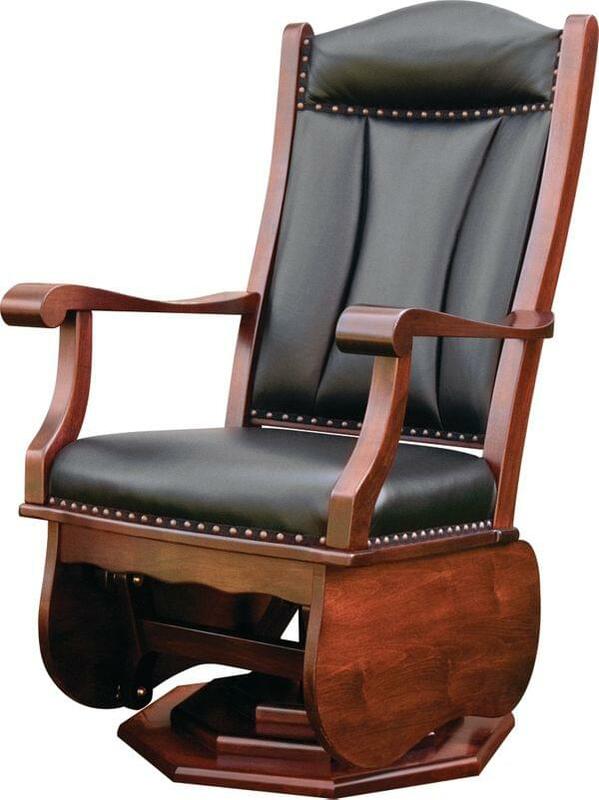 The wooden frame is made from North American Hardwoods and upholstered using top-grain genuine leather. It is perfect seating addition for the living room, bedroom, and/or office. 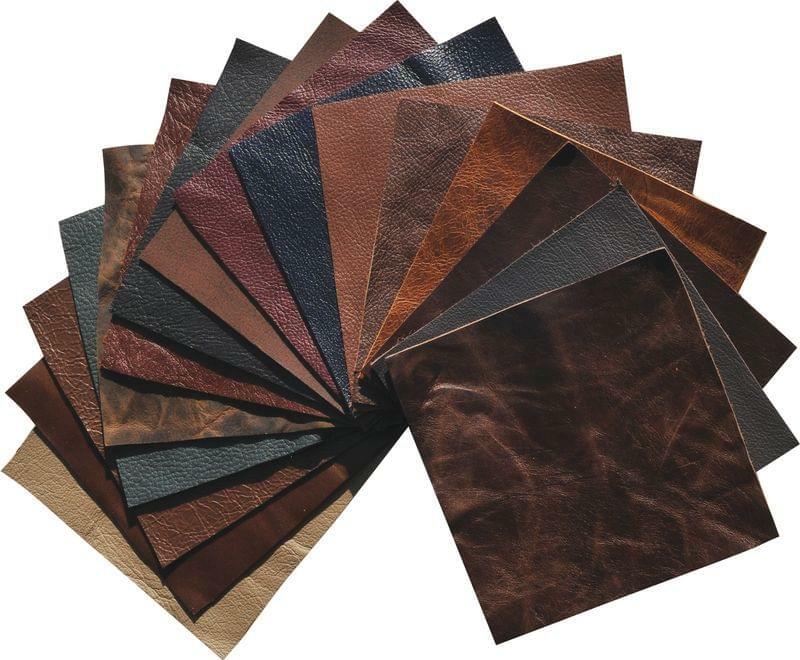 Top-grain leather has the genuine grain and is the “toughest” around because it comes from the top, very thick layer of beef cattle skin. 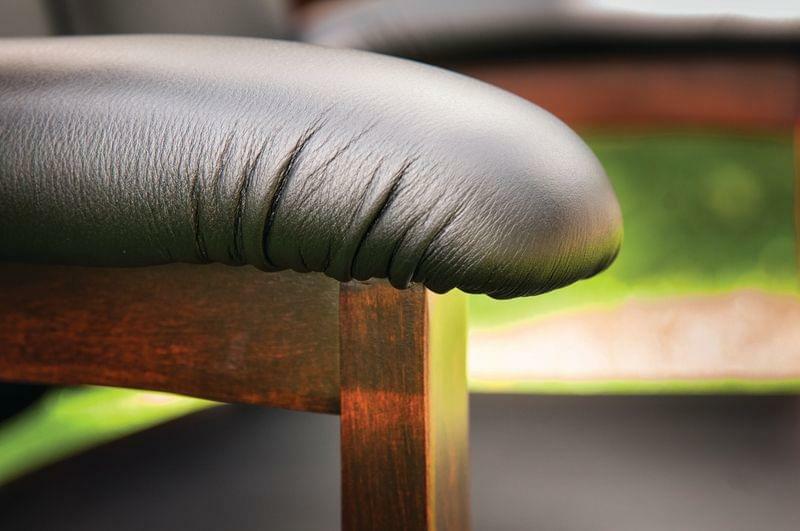 This makes it the most “care-free” leather in the industry. All spills, grease, etc. are super easy to just simply wipe off. The biggest culprit to genuine leathers is magic markers (keep those far away!). As with all of our products, the Buckeye Seating is individually handmade, assembled, sanded, stained, which gives a superior end product. You choose the wood species, stain, and leather/fabric. Remember, we are all about customized pieces. In Need of Comfortable and Stylish Seating For Your Home?